When I first met Brianna and Scott, I immediately knew they were an adventurous couple. Their first idea was to take engagement photos inside a gym. However, the logistics and timing of finding a place that would allow it proved difficult. 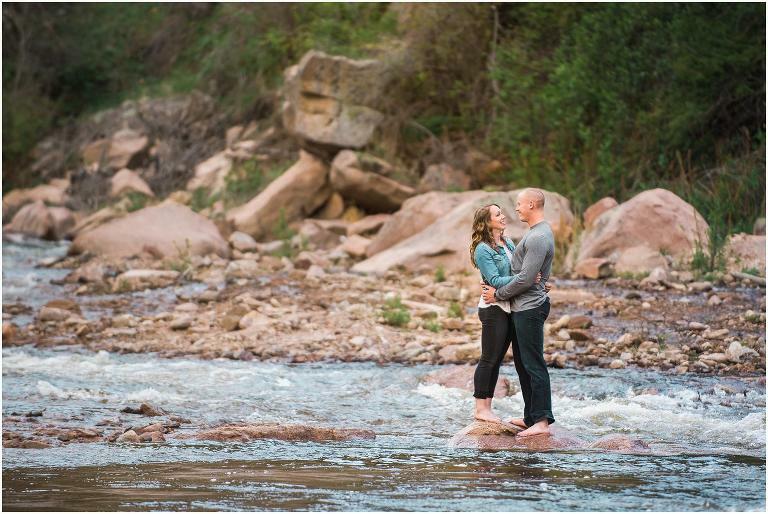 Instead, they opted for outdoor engagement photos and chose a hiking path outside of Lyons that they enjoyed. Plus, it was pretty close to their wedding venue at Planet Bluegrass! After we hopped out of the river and dried off, we took a moment to rest along the bank. There might not be any greater pleasure in life than sitting next to a river on a warm afternoon. I love when wedding clients want to do engagement sessions as well. It gives them a chance to see how I work, and for me to learn what they like. It also gives me a chance to really get to know them as people. In this case, I learned that both Brianna and Scott are HUGE Wisconsin fans. Despite coming from a Vikings-loving family, they still put up with me 🙂 I also learned how important their families and faith are to them, and learned some of the special touches they had planned for their wedding to pay tribute to those huge priorities in their lives. Thank you, Brianna and Scott, for such a relaxing and adventurous afternoon! Stay tuned to see how their wedding photos turned out. 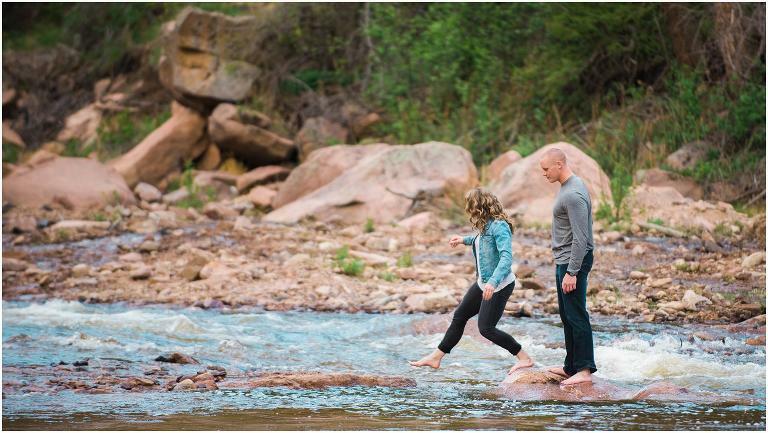 Planning your own Lyons or outdoor engagement? Let’s get in touch!